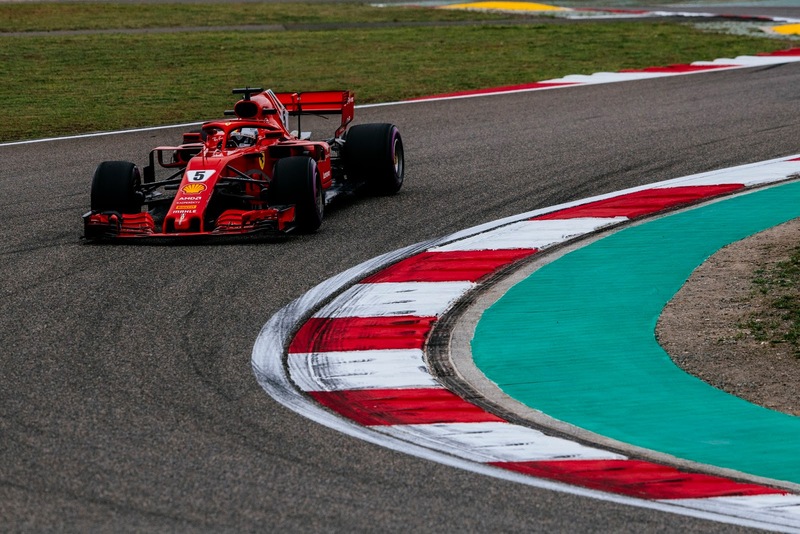 Matt 'Trumpets' Ragsdale delves into the minutiae of qualifying for the 2018 Chinese GP, unraveling the details that you may have missed whilst transfixed on the action. When it rains it pours, and in China it appeared that it might be more than metaphor, the wind whipping leaden gray skies into an angry visage, foliage dancing in the violent gusts that coursed through the paddock. 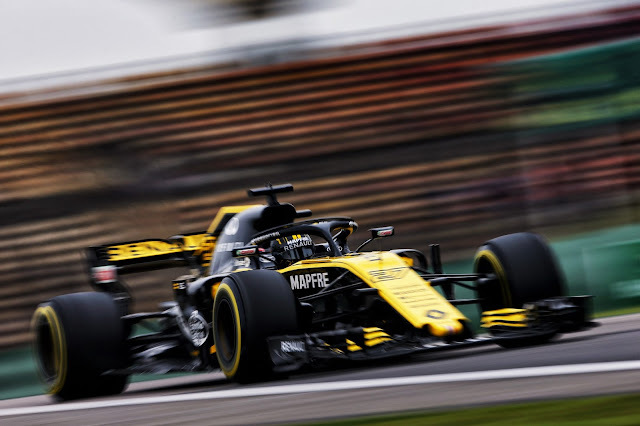 FP3 saw the spectacularly terminal failure of Daniel Ricciardo’s PU, flames bursting forth from the rear of the car as his turbo decided it was going to have no more and lunched itself. A not entirely assembled backup PU sent Renault scrambling, and as the seconds ticked down his car looked far from assembled. Green Light!! Sirotkin was first out of the gate, followed by Leclerc and Stroll. Hartley and Ericsson followed on as little time was going to be wasted with the uncertain weather hanging overhead, a veritable Sword of Damocles waiting to smite those unlucky or unfortunate enough not to get a lap time in the bank. 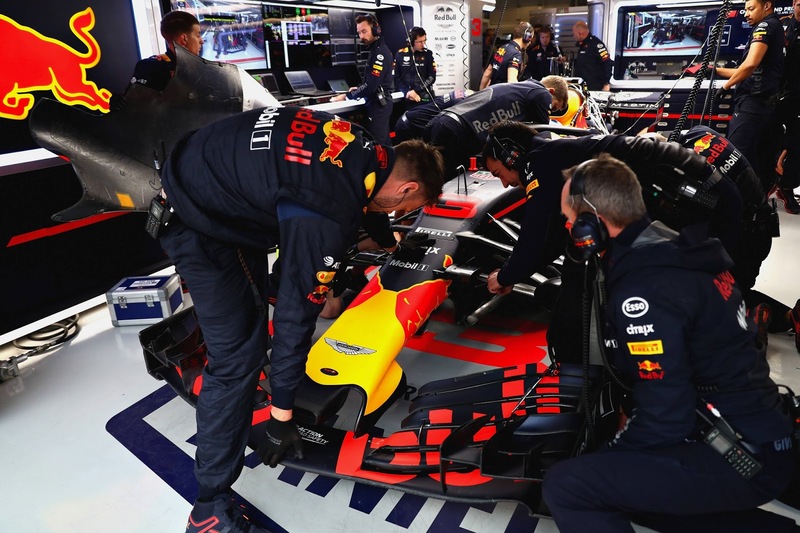 The tightest race was for Ricciardo though, whose gearbox still lay on the floor of the paddock as the rest of the competitors circulated on their outlaps. Gasly was the early leader of the midfield, before Raikkonen smashed through timing and scoring, taking a P1 with a 1:32.474. Neither Bottas nor Hamilton could seriously worry that time, going P2 and P3 respectively as Vettel was on his outlap. Mercedes struggle on the Ultra Softs in the cooler conditions continued from FP3 as Vettel took the top spot, going 0.3s clear of his teammate. 10 minutes to go and Verstappen peeled out of the pits, fingers crossed at Red Bull. AS he hotted up his tyres it was Kmag, best of the rest on the Soft tyre, which he had found to be faster, despite Bottas wandering well into his way as he hit the line. 8 minutes to go and the dynamic duo at Force India stepped up, with Perez and Ocon taking P6 and P7. Not for long, though, as Hulkenberg split them . Alonso and Kmag rounded the top 10 out. Leclerc had a viciously lurid slide and it was young Max going P4 amidst the excitement. Hartley, Ericsson, Stroll, Leclerc and the hapless Ricciardo lolled about in the drop zone with 5 minutes to go, with Sirotkin in the hot seat, as the field turned it around for the final tilt at glory. 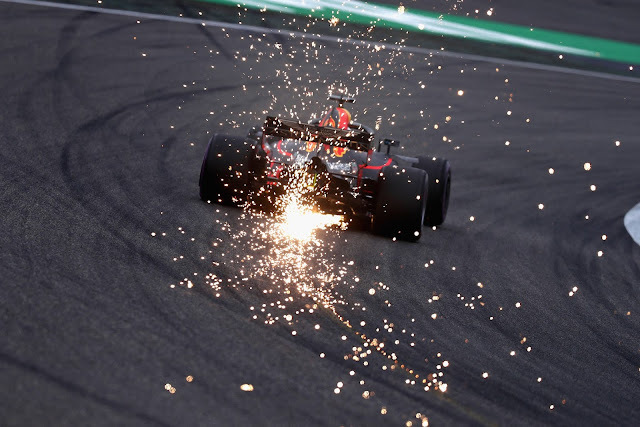 3 minutes to go and bad news for the back of the field as Ricciardo tore out of the garage, lighting up the tyres as he rocketed toward the end of the pitlane. Well done to RBR for getting him out and it was fingers crossed as he plunged round the track, getting tires and brakes up to temp in preparation for his only shot at Q2. Ricciardo was on it, aggressive on the corners and no quarter given, sparks flashing from under the chassis as he crossed the start /finish. The lack of preparation showed as P13 was the best he could do, and Red Bull was left to wait nervously as the rest of the runners completed their runs after the checquers had fallen. Stroll, Leclerc, Ericsson all failed to exit the drop zone and then Hartley went P15, casting Sirotkin into the pit of despair. Gasly just missed, going P16 a tenth off his teammate and Sainz, who had been in danger, pulled his chorizos out of the fire with a P7, just ahead of Kmag, who had wisely opted to switch to the Ultras for his second go. Sirotkin couldn’t get the job done and that was that for that. Off for dim sum went Sirotkin, Gasly, Stroll, Leclerc and Ericsson as the rest got ready for Q2. Bottas led the way for Q2, followed by Hamilton, the Mercedes struggling desperately with the low temps. Not far back were the Ferraris, a study in contrast, lapping up the change in conditions with aplomb. But it was shod in Softs for both the top teams, in stark contrast to the rest of the field, a gamble taken due to the rapid degradation of the UltraSofts. Again a terrible lap for Hamilton, viciously understeering through T9, losing massive chunks of time to Bottas in S2. Neither was in the same league as the Ferraris, with Vettel going P2 and Raikkonen P1 by 0.6s over Bottas and over a second over Hamilton. Red Bull, meanwhile, had managed to dial in Ricciardo’s car and it was P3 for him, on the Ultra’s though as Hamilton dropped like a stone down the order. P7 as Hulkenberg took P6, only to be displaced by the flying Viking from HAAS, Kmag. P8 and counting for Lewis, now on his second run on the Softs. Verstappen rocked in a P5, on Ultras like his teammate and then Hamilton slammed it home, P6 and bringing it home to get ready for one last charge for the promised land of Q3. On the outside looking in were Sainz, Vandoorne, Hartley, Grosjean and Alonso. 3 minutes to go and off they went, Lewis leading the way, having doubled down on the Soft gambit. Raikkonen trailed him then Vettel , both on the Ultras. Bottas was a ways back, also on the Softs, and again the strategic die was cast for the race tomorrow. Early advantage to Hamilton, as he set a Personal Best followed by purpling S2 and then S3, to the top and P1. Both Ferraris were giving chase on the softer compound though, and one after the other they dove into the pits. Hulkenberg to P5, Grosjean to P6 but it was nothing doing for Kmag, who was in the hot seat P10. Ocon was in as Bottas went P2, then out he went, displaced by Perez. 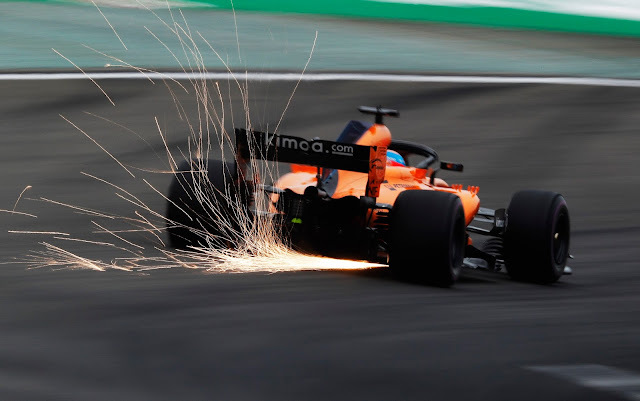 Sainz knocked out Kmag by 0.01s seconds and as the dust settled, Kmag, Ocon, Alonso, Vandoorne and Hartley were done like a dinner, off in search of some Tsingtao as the top 10 got ready to joust for the ultimate glory of Q3. Ominously for Ferrari it looked that Mercedes managed to crack the code on getting the tyres into the window, none too soon as the track opened for Q3. Hulkenberg was out first, chased up the track by Grosjean. Raikkonen and Vettel were next, then Sainz, Ricciardo, Bottas, Verstappen and Hamilton bringing up the rear. Raikkonen had the early advantage on Vettel, purpling the first 2 sectors, and then BOOM! Trifecta for the Finn going 1:31.2, Vettel 0.2 seconds off. Bottas rocked through P3 and Hamilton followed P4, both 0.4 seconds back of the bar Kimi had set. Verstappen and then Ricciardo made it a Noah’s Ark, 2x2, with Hulkenberg, Grosjean, Sainz and Perez rounding out the order as the field retired to the pits to look for those last missing tenths. 3 minutes to go and Bottas was first out, trailed by Hamilton. Hulk and RoGro were next, then Raikkonen and Vettel. Ricciardo , Verstappen and Sainz completed the order. Bottas led the way early days, Lewis unable to match his teammate, but further back, Raikkonen was purpling the board. Vettel was fractionally behind him as Bottas rocked across the line but failed to improve his position. Lewis, too, could do no more and bailed for the pits after a mistake in his very ordinary lap. Then it was Kimi across the line, with a 1:31.182, even faster than his first go-round. Breaths held around the circuit as Vettel came into the final turn and it was a purple S3 that put him to the top at the very last moment. Verstappen and Ricciardo maintained the status quo and it was Hulkenberg, Perez, Sainz and Grosjean rounding out the top 10. With the weather hotting up tomorrow, race pace could be more equal as conditions will be similar to that of FP2. Still, Ferrari have dealt themselves quite the hole card by locking out the front row, as despite the record of overtakes, pole position has been good for 9 out of 14 wins at this circuit. Perez in a post-race interview added that the wind was equally confounding. 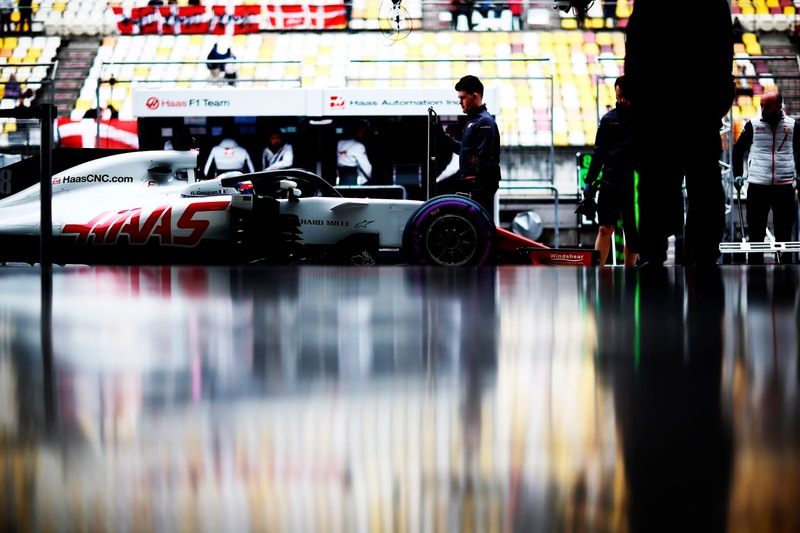 Nevertheless, today’s session has revealed the inner diva once more at Mercedes and the vicious undercurrents will soon be stirring if tomorrow’s race brings no improvement. 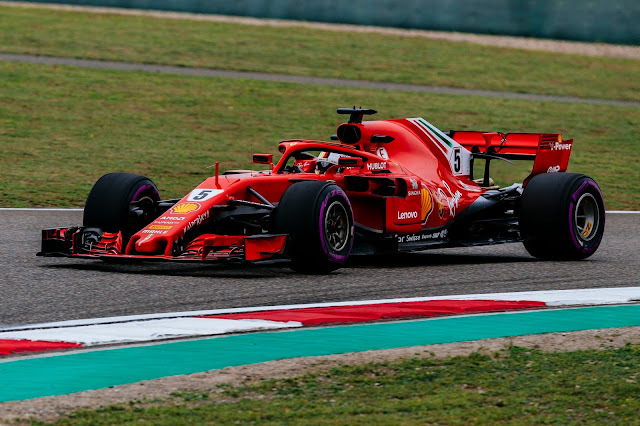 As with last year, the Ferrari appears to set up more easily over a wider set of circumstances, even if the Mercedes is flat out faster. It’s only the third event of the season but the rhythm of the championship chase appears to be establishing itself. Mercedes has the pace but lacks the adaptability of the Ferrari. 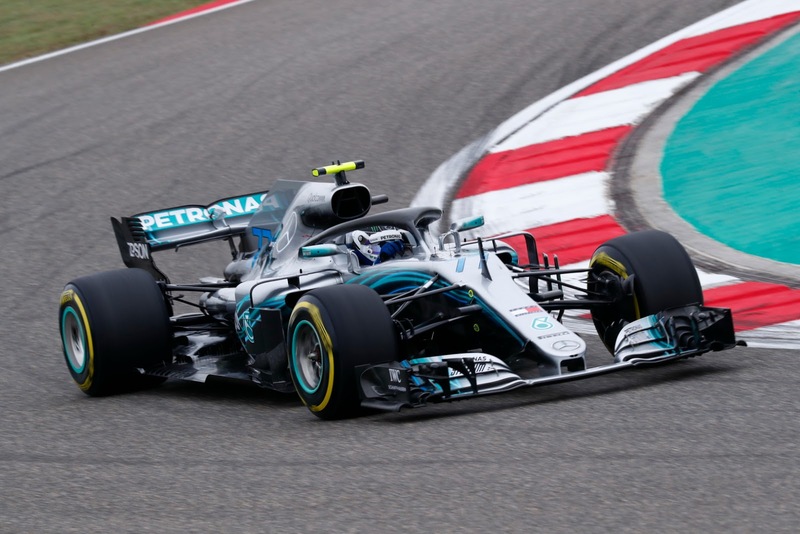 Once again, the Silver Arrows will be looking to limit the damage while fending off harassment from Red Bull behind and it must be said at the moment that the racing gods appear to be favoring the Scuderia.